"LOOKING AT THE EARTH FROM SPACE"
Click J-Track to track the weather satellites in real time. IT'S EASY TO CAPTURE REALTIME IMAGES LIKE THIS DIRECTLY FROM SPACE ON YOUR PC! View of the module of Universal receiver FM for frequency range 134 - 141 MHz for reception of signals from meteo-satellite meteo-satellites NOAA and (METEOR) and from METEOSAT 7 & GOES (it is necessary to implement the converter 1691 MHz / 137,5 MHz). This is the RX134141 MHz as above but complete with all additional components required for full computer control (WXTOIMG/RS232/PC-COM). The receiver is equipped with a LCD display, PLL and automatic searching of active satellites signals. The receiver is suitable for an optimum version of a receiving chain for reception of pictures from satellites NOAA, (Meteor), Meteosat 7, GOES... ... Quadrafilar Helix (QFH for short) antennas. Receiver FM 134...141-MHz - (alternately 144...146 MHz or 155..158 MHz) for reception from meteorological satellites (Meteosat_7 GOES and NOAA) with LCD Display designed by Miroslav Gola, OK2UGS, was published in the Czech journal "Prakticka Elektronika - ELECTUS 1999" (pages 73 - 79 ... old model) and it is now being sold as a kit or as already assembled and tuned product. Delivery term of the ordered goods: four to seven days. The FM Receiver with LCD display can be ordered with input frequency 134 – 141 MHz (or alternately 155 - 158 MHz, or 144 - 146 MHz). The receiver 134 – 141 MHz in execution Professional is placed in a ”luxury” box made by BOPLA (have a look at picture at www ) and it has moreover another electronic circuit for recognition of presence of the signal WEFAX 2400 Hz, which collaborates with the system of automatic search of current passage of the satellite NOAA and stopping of the mode SCAN at the current frequency in the band 134.00 – 141.00 MHz. To support the NOAA-18 frequencies 137.10 MHz and 137.9125 MHz. Includes Computer control as standard . Front panel contains control push-buttons for selection of working frequencies, working mode of the receiver and a switch for selection of antenna, from which the received signal will be processed. Rear panel of the box contains two antenna connectors for independent connection of signal from converter LNC1700 and signals from antenna Turnstile for polar satellites. Rear panel also contains 2 connectors CINCH for connection of speaker and for cable from the computer sound card. The fifth connector serves for connection of power supply + 12 V. The set comprises also power supply +12 volt / 500 mA. The receiver in execution PROFESSIONAL is ready for reliable operation in continuous mode on professional worksite. Comments: NOAA-19 is the fifth in a series of five Polar-orbiting Operational Environmental Satellites (POES) with advanced microwave sounding instruments that provide imaging and sounding capabilities. Circling 530 statute miles [850 km] above Earth and completing a revolution every 100 minutes, the NOAA-N Prime will operate in the so-called "afternoon" polar orbit to replace NOAA-18 and its degraded instruments. The orbit crosses the equator from south to north at 2 p.m. on the trips around the planet. NOAA-N Prime is outfitted with instruments that provide imagery, atmospheric temperature and humidity profiles, and land and ocean surface temperature observations, all of which are key ingredients for weather forecasting. In addition, the information generates decades-long databases for climate monitoring and global change studies. In addition, the NOAA satellites are equipped with search and rescue packages that detect distress signals from emergency beacons. Over the past 26 years, the network has been credited with more than 24,000 rescues worldwide. 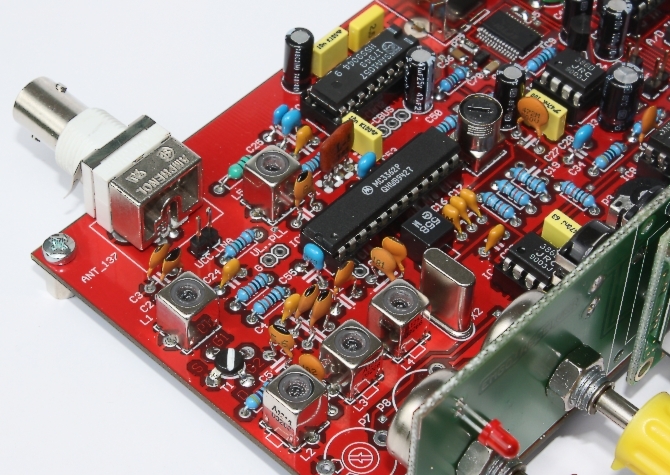 The RX137141MHz receiver has already been produced since 1998 and I have been gradually implementing various improvements of its technical parameters. 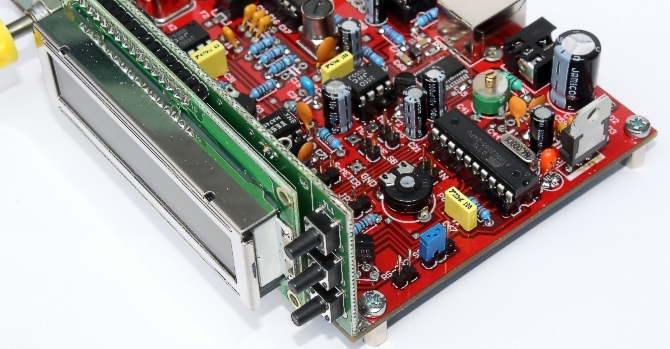 The most recent modification of the service properties of the receiver consists in a possibility to connect it to a PC via the RS232 interface. This modification was initiated by the interest of the WXtoIMG decoding program http://www.wxtoimg.com/hardware/ users. The WXtoIMG program has outstanding properties for decoding of the APT signals and it enables a completely automated operation and optionally also an automatic sending of the decoded image to the chosen web page. The WXtoIMG program sends a special code into the RX134(137)141MHz receiver shortly before the rise of the satellite to the horizon, which will trigger the setting of the RX134(137)141MHz receiver to one of the following tenth frequencies ( 137.20 .. 137.10 .. 137.40 .. 137.50 .. 137.62 .. 137.91 .. 137.30 .. 137.70 .. 137.80 .. 137.85 ). The process is continuously repeated before each flyover of the satellite in the cycle, which is updated from the database of the current Keplerian elements. The selection of the frequency for the given satellite is substantially more reliable at present than it was in older models of this receiver, with the use of SQL SCAN or PLL 2400 Hz SCAN with the LM567circuit. The impact of interfering signals on the receiver’s input that afterwards caused a process of undesired repeated scanning never occurs now. 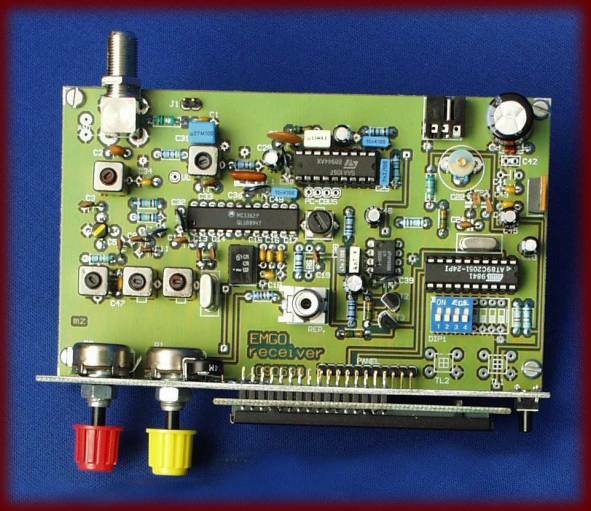 At present I have started the production of a new model of the RX134141MHz receiver with an extended range that was inspired by the needs of users of the converter 1700MHz made in Italy, the output frequencies of which are 134.00 a 137.50 MHz. The new model of the receiver embodies all good properties, which were confirmed during a seven-year-long practical use by numerous users in many countries. 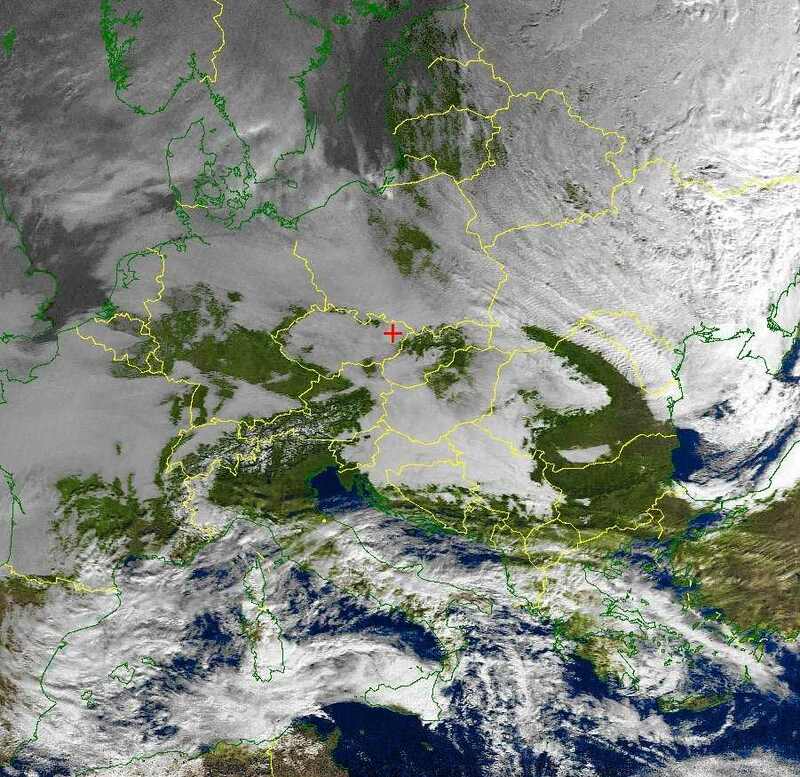 You should download version 2.7.3 SW WXtoIMG to fully enable NOAA 18 support. The NOAA-N spacecraft launched from Vandenberg Air Force Base, Calif. at 6:22:01.566 a.m. EDT Friday, May 20 after a perfect countdown. 7:11 a.m. EDT - 48 minutes and 38 seconds since liftoff. We are standing by to receive spacecraft communications via the Hartebeesthoek tracking station in South Africa. 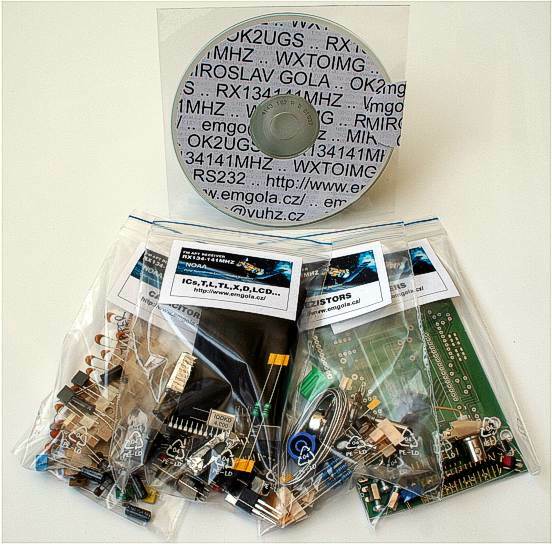 Dear friends, a new innovated model of the receiver RX134141MHz can be purchased now (in executions – kit, Standard and Professional), which is fully ready for communication with the newest version of the program WXtoIMG and can receive data also from the newest satellite NOAA-N (NOAA-18), at frequencies 137.10 and (137.9125MHz). 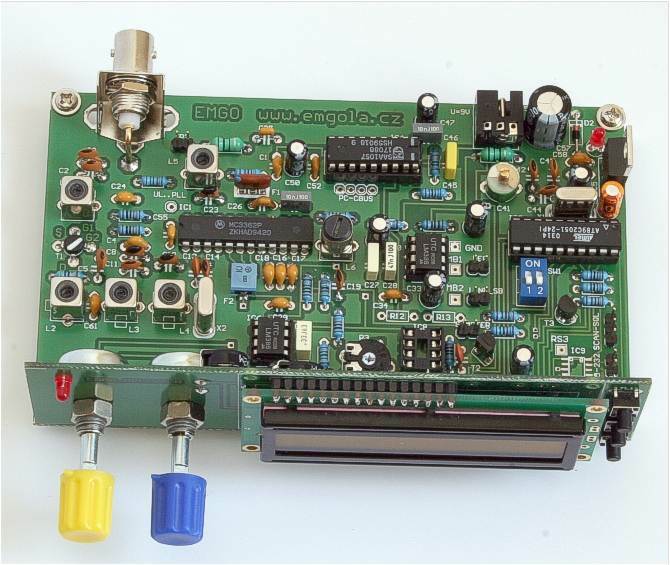 We can offer also for all previous version of the receiver ( RX137(134)141MHz-2buttons ) a programmable processor AT89C2051 with new set of 10 frequencies of WXtoIMG together with wiring diagram for minor modification of the receiver (this modification is very easy as it consists just of adding 1 transistor NPN and 1 resistor 47kiloohms) – at the price of 22,50 euro + postage 7,5 euro. If you send me your present processor from your receiver, I will program it free of charge, only at a price of postage equal to 7,50 euro (Programming + CD-ROM TEST SW + postage = 10 euro). Warning ! Postmark is heavy man! I am looking forward together with you to the new satellite NOAA-N (NOAA-18), which was successfully launched from the Vandenberg Air Force Base in California by the rocket DELTA II (you can see the most current information at the address http://www.nasa.gov/mission_pages/noaa-n/main/index.html ). After successful termination of tests (active test-phase till 10. 06. 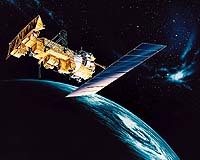 2005) it will be renamed to NOAA-18 and transferred to administration of the National Oceanic & Atmospheric Administration (US). 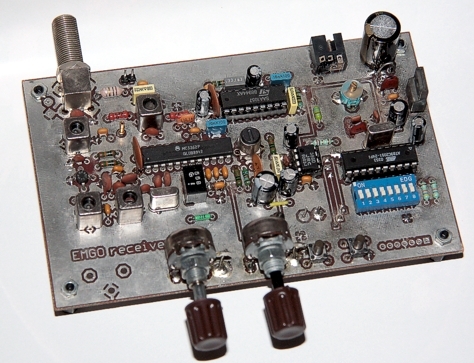 View of the module of Universal receiver FM for frequency range 134(137) - 141 MHz (or 155 - 158 MHz) for reception of signals from meteo-satellite METEOSAT 7 & GOES (it is necessary to implement the converter 1691 MHz / 137,5 MHz) and from meteo-satellites NOAA and METEOR. The receiver is equipped with a LCD display, PLL and automatic searching of active satellites signals. The receiver is suitable for an optimum version of a receiving chain for reception of pictures from satellites Meteosat 7, NOAA and METEOR. Receiver FM 137...141-MHz - (alternately 144...146 MHz or 155..158 MHz) Receiver for reception from meteorological satellites (Meteosat_7 GOES and NOAA) with LCD Display designed by Miroslav Gola, OK2UGS, was published in the Czech journal "Prakticka Elektronika - ELECTUS 1999" (pages 73 - 79 ... old model) and it is now being sold as a kit or as already assembled and tuned product. 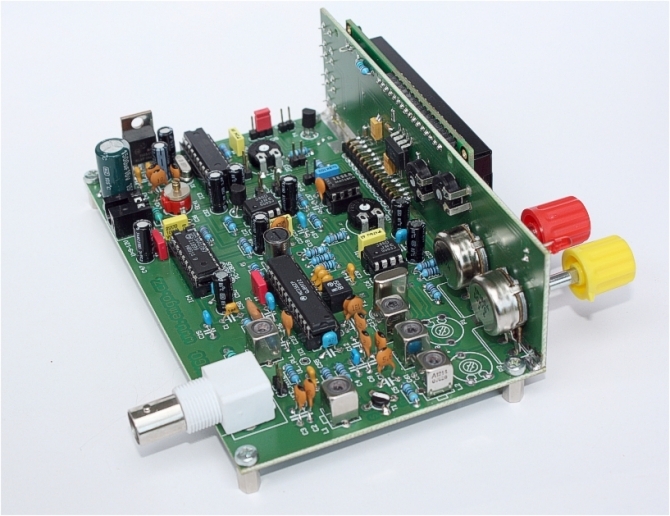 The existing users of both generations of the RX137141MHz receiver can update their device. Modification of these receivers for automatic operation in the WXtoIMG program is very easy and cheap. 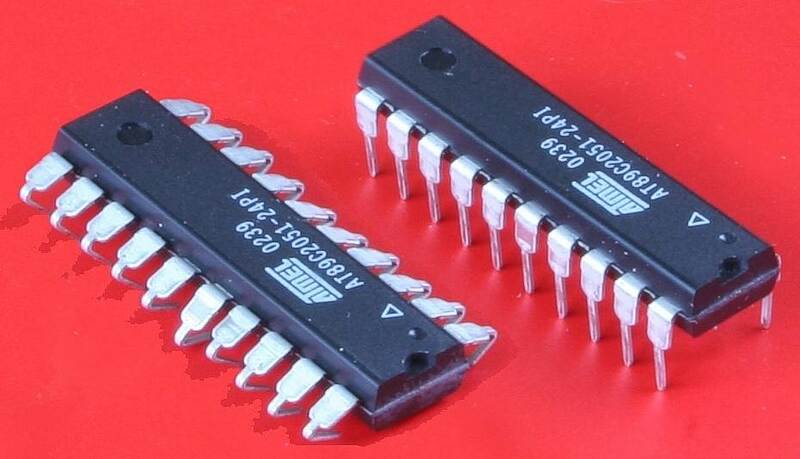 It consists of the replacement of the RX137141LCDDIP4 microprocessor with a new one with the RX134141LCDWXTO program and the connection of an RS232 communication cable ( www_fa/rs232_CD_at89c2051.jpg ) to the receiver at two soldering points on the bottom of the receiver's printed circuit. The communication cable is fitted with a DB9 connector on one end and a transducer from RS232 voltage levels to TTL on the other end. This transducer is made using one NPN transistor and one 47kOhm resistor. 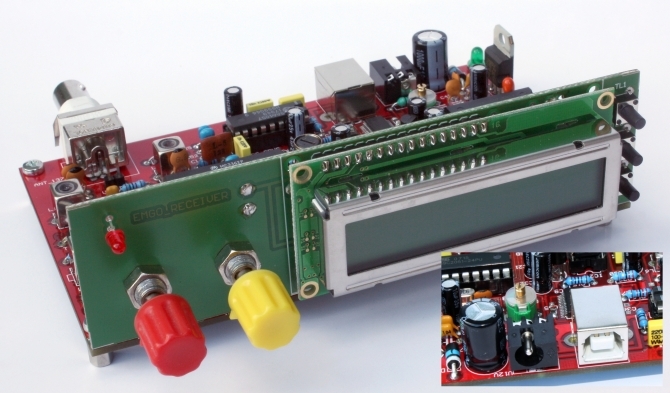 I have prepared a complete set of the necessary components in two types - a kit or an assembled set, which you just solder to the receiver at two points. Afterwards you insert the DB9 connector into the COM port of your computer. The new operating software keeps the initial properties of the receiver and it also adds the communication with the WXtoIMG program. 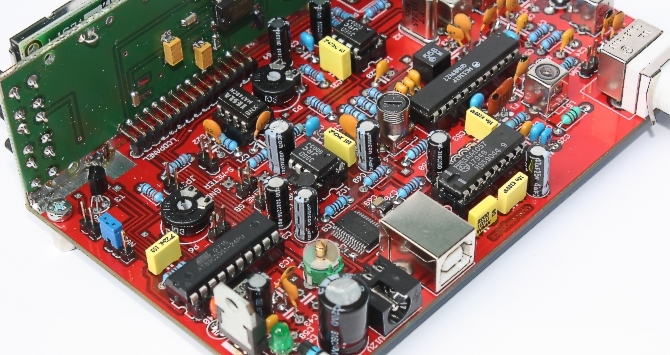 The receiver is ready to operate with these new facilities once the ATMEL89C2051 processor, which is located in the socket on the printed circuit of the receiver, is replaced, and connection of the communication cable. for 30 euros (including postage), or a ready assembled and tested set (including the microprocessor with the RX134141LCDWXTO program) for 35 euros (including postage). 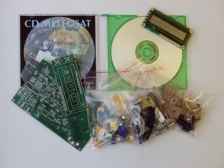 The package also contains a CD-ROM with the latest version of the WXtoIMG program and instructions for this program with many illustrations (screen prints - settings of the program). 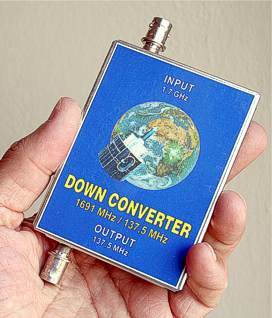 Users in the UK (PAGER PROBLEMS) should note that the IF filter provided is inadequate for use in the UK RF environment, though this should not be a problem in continental Europe or elsewhere in the World. To enable use in Great Britain, users would have to add a suitable IF filter . 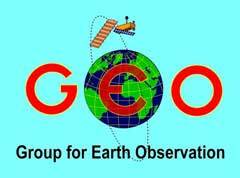 Basis for the chain for reception of meteorological data from satellite GOES GOMS, METEOSAT is a low-noise converter (LNC) for the band 1,7 GHz and YAGI antenna (aerial) or parabolic antenna with diameter at least 65 cm. The output signal from the converter is brought to your scanner with WFM demodulator. 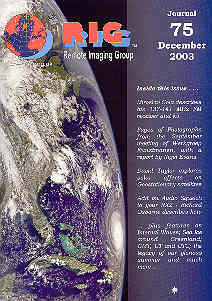 Signal WEFAX from low-frequency output of the receiver is led to the PC’s sound card and subsequently processed with use of the program JVComm32 into the form of an image (bitmap GIF, PNG, JPG…), which is stored on hard-disk and waits for further use (creating a video-sequence from the set consisting of several pictures, sending by e-mail, etc.). 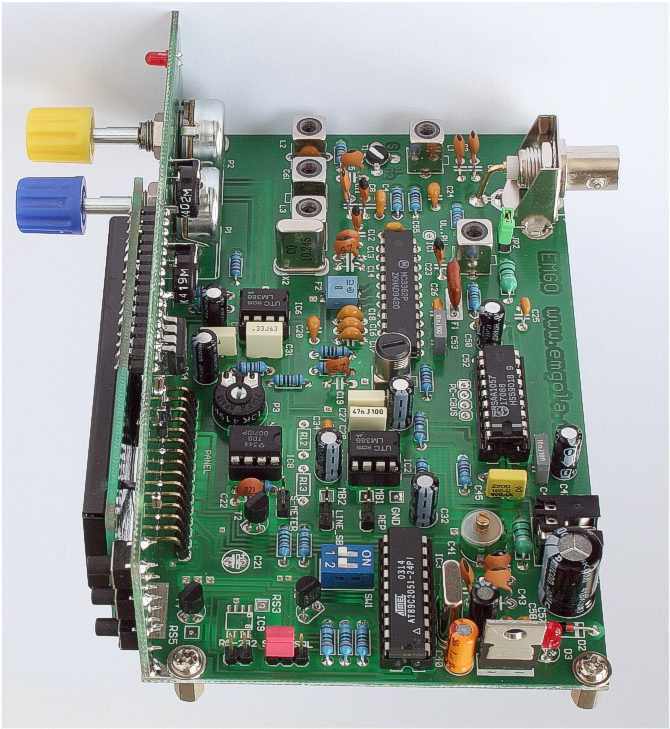 If you do not possess a scanner with FM demodulator, we have prepared for you a simple single-purpose receiver with input frequency of 58,7-MHz and output to a sound card. If you choose universal receiver FM with the input frequency in the band 137 MHz, you can receive data not only from the satellite Meteosat 7 (on geostationary orbit at a distance of 36000 km), but also from the satellites NOAA and others, which orbit the Earth on polar orbits at the height 800 - 900 km and which accomplish one orbit in 90 minutes. 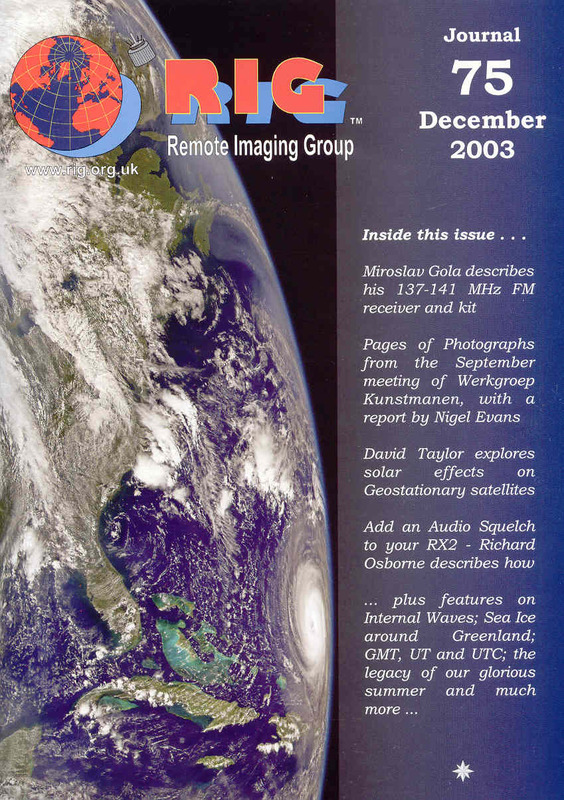 GMS - GOES ...- ... Meteosat - LNC1700 (1691/1694.5MHz/137.5/141.0MHz) designed by Radek Vaclavik, OK2XDX, was published in the journal Remote Imaging Group, Easy downconverter for Meteosat, 1999 (ISSUE 58, 59/1999), and it is now being sold as a kit or as already assembled and tuned product. Delivery term of the ordered goods: four to seven days. It is possible to order versions with the output frequency of the converter (LNC): 134,00 MHz 137,5 MHz, 155 MHz a 58,7 MHz. How to pay: Postal cover ( registered letter ) or of payment order ( Bank transfer ). No credit card orders. Sorry, too small to process. Notice: The 14 June 2006 will mark a historic landmark in the calendar for the first generation of Meteosat satellites. 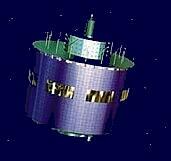 On this date it is planned to terminate Meteosat-7 direct dissemination services from 0°. 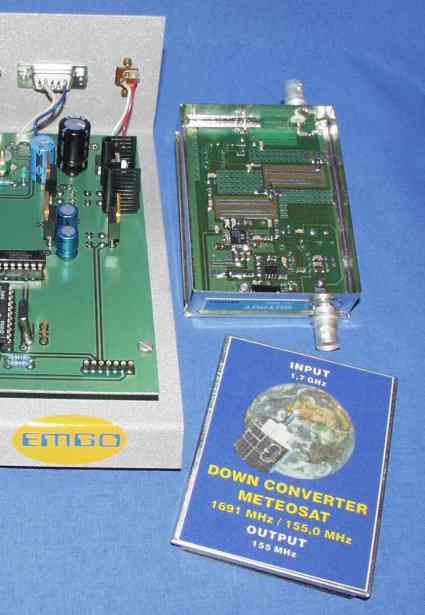 After nearly a quarter of a century, the first generation Meteosat satellites will stop transmitting 0° image data and products for direct reception. 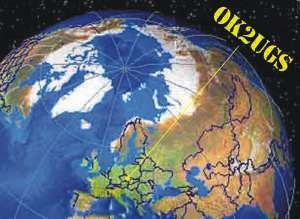 Nevertheless – thanks to Internet we can peep into creative workshops of many radio-hams literally all over the world. We can recommend you to visit the site: http://www.qsl.net/ok2xdx or http://www.intio.or.jp/jf10zl/ . We are looking forward to hearing from you soon via mail.